This online class is available immediately by following the link below for $39.95, you don't pay here. It is always open and you will always have access to the class once you are enrolled. 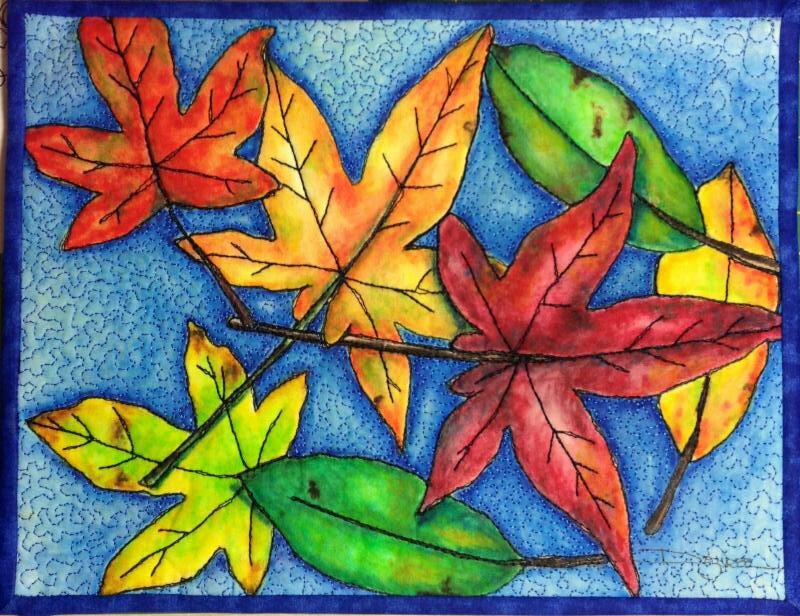 In this online class I will walk you through how to create your own leaf template, and lay it out with some stitching. Then I will walk you through how to color each leaf and then the background. I will also give you some finishing options as well. The last class we will discuss other ways you can use this technique to enhance your other quilts. There are videos, templates and links so that you can get a clear picture of how I created my small piece. You do not purchase the class here so don't worry about the class dates. Follow the link to enroll in the ongoing online class. Once you purchase the class you will always have access to it and can go back in and watch it as many times as you like! Here is the link for more information and how to get immediate access.